Little miss Mia all coy and sweet for her Easter picture! Oh, my catness! It’s already Easter! I’ve been so busy pulling together the last-minute details for the Cat Writers’ Association 25th anniversary conference and awards banquet that I’ve barely come up for air. It will be held on May 16 – 18 at the Drury Plaza Hotel at the Arch, St. Louis and the clock is ticking to get everything done! 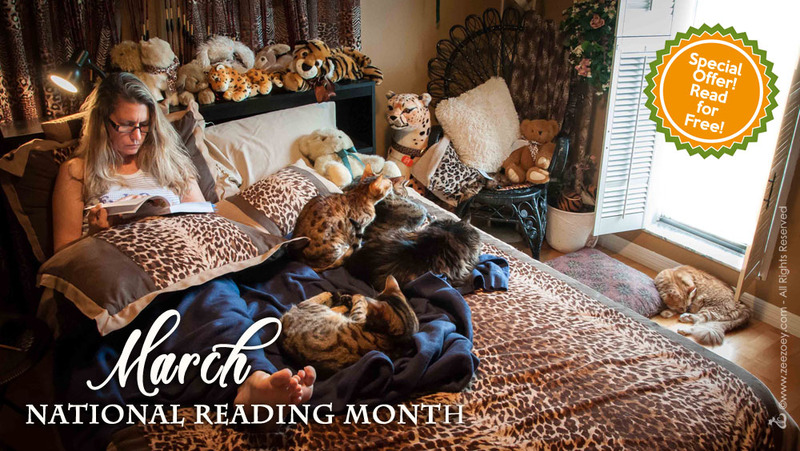 And not to pressure anyone, but if you haven’t registered yet, there’s still time – we have an amazing lineup of speakers, an incredible book signing and fundraising event for the Humane Society of Missouri, prizes, gifts, celebrity cats, entertainment, and our annual awards banquet which promises to be a spectacular night! You don’t have to be a member of the CWA to attend – please click here for full details. 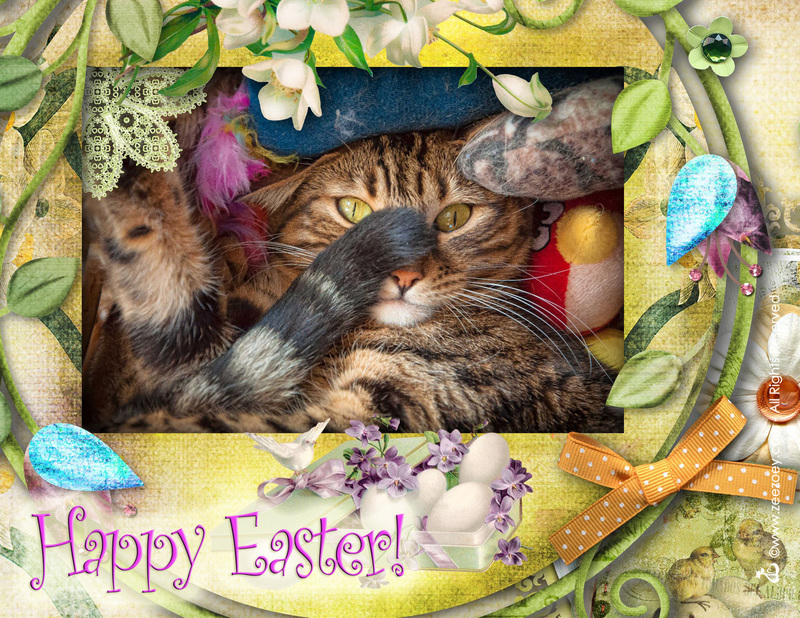 Keep Easter safe for your cats by avoiding dangerous temptations such as curling ribbon, cellophane grass, chocolate, and Easter lilies. Anyhow, whatever you’re doing -whether it’s a peaceful day with family and friends or a catch-up day like mine, I hope it’s a day filled with blessings. 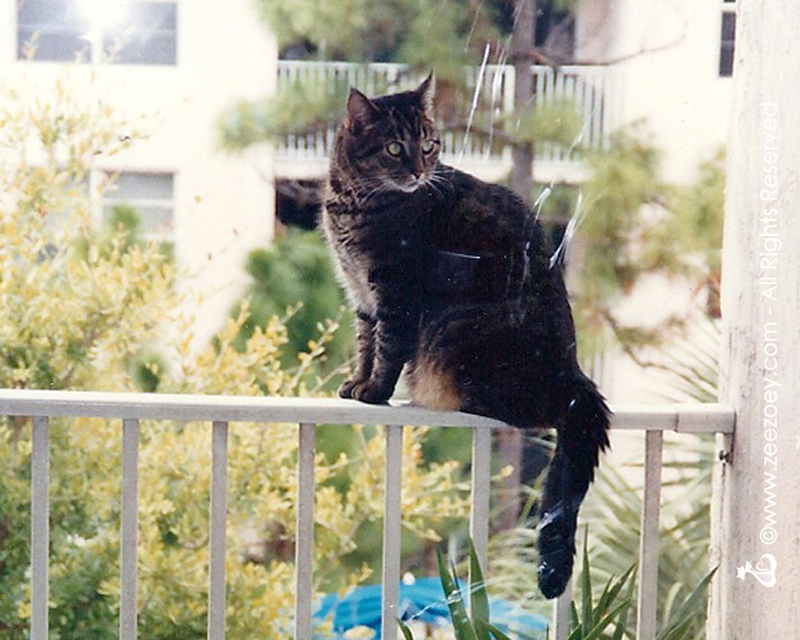 And don’t forget how curious our feline friends can be – Easter is a wonderful time but there can be many things dangerous to cats. Curling ribbons and cellophane grasses if ingested could become entangled in their intestines, causing them to twist and close off requiring dangerous surgery. 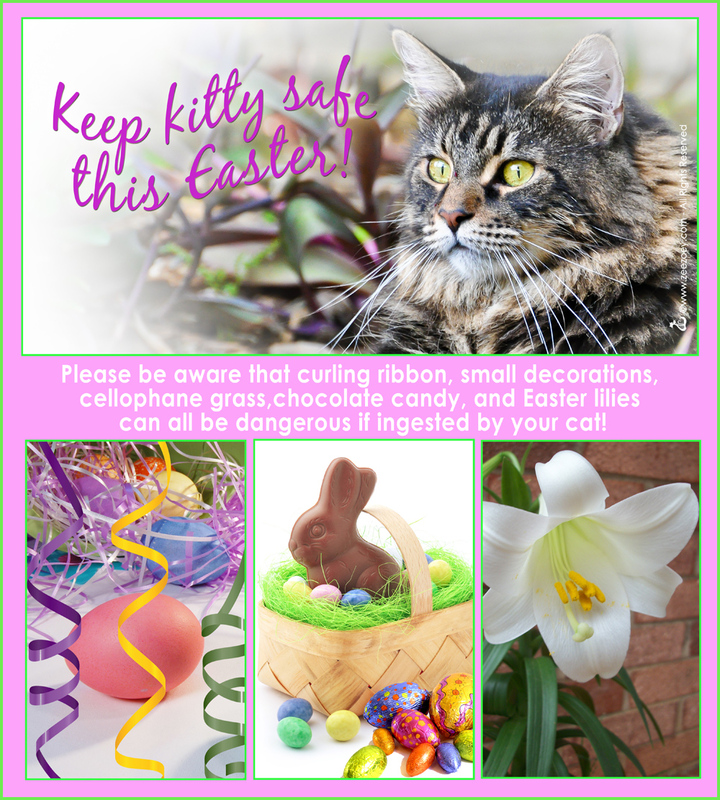 Chocolate is highly toxic to cats and so are those beautiful Easter lilies we are all familiar with. And if a cat eats a small toy or decoration, they could possibly choke on it, so really the best thing to do is keep these types of temptations away from your cat. To be safe, keep both the phone number of your veterinarian and the pet poison helpline programmed on your phone in case of emergencies (poison helpline is 855-764-7661). 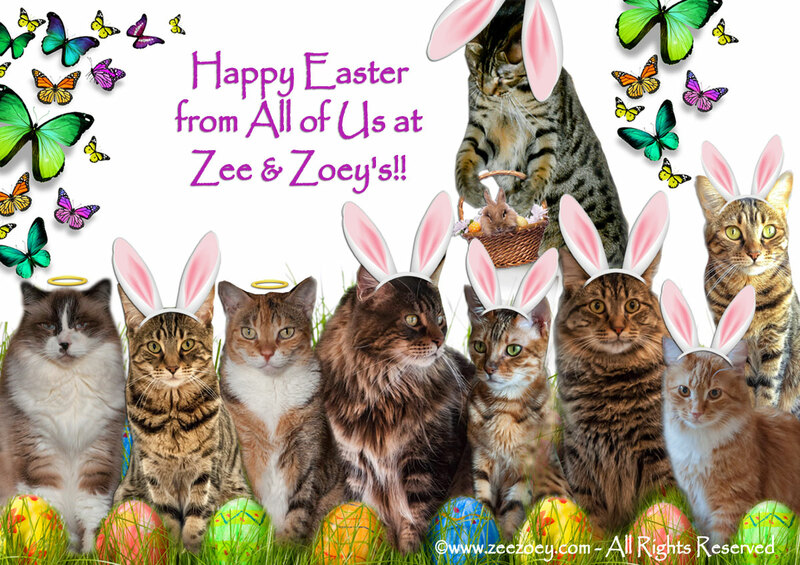 Happy Easter – love, and purrs from Deb and the Zee/Zoey gang! 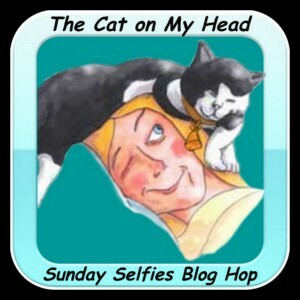 Love from Rolz, angel Jazz, Peanut, angel Harley, Zee, Zoey, Kizmet, Jazmine, and Mia. It all began with sweet Kit. 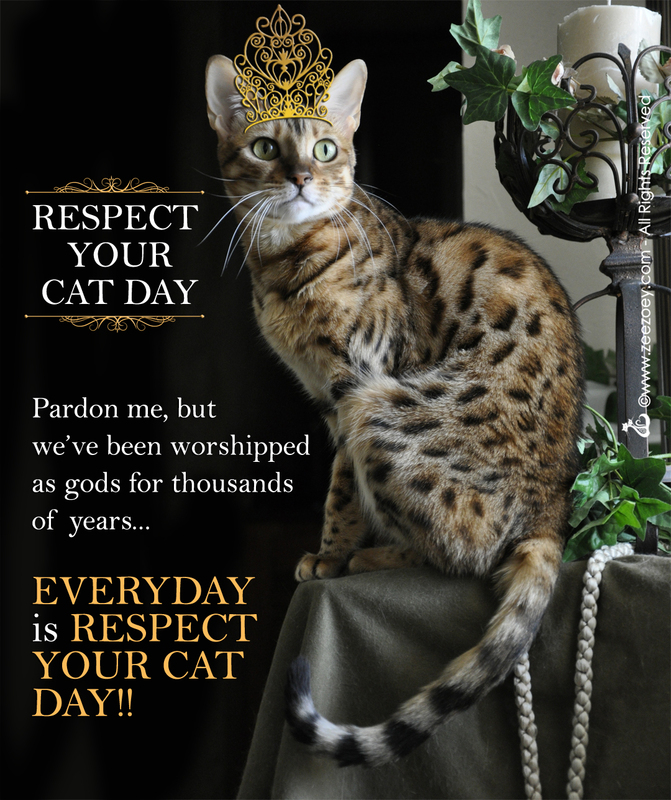 Some Fun Facts and a Lovely St. Catrick’s Day to You All! 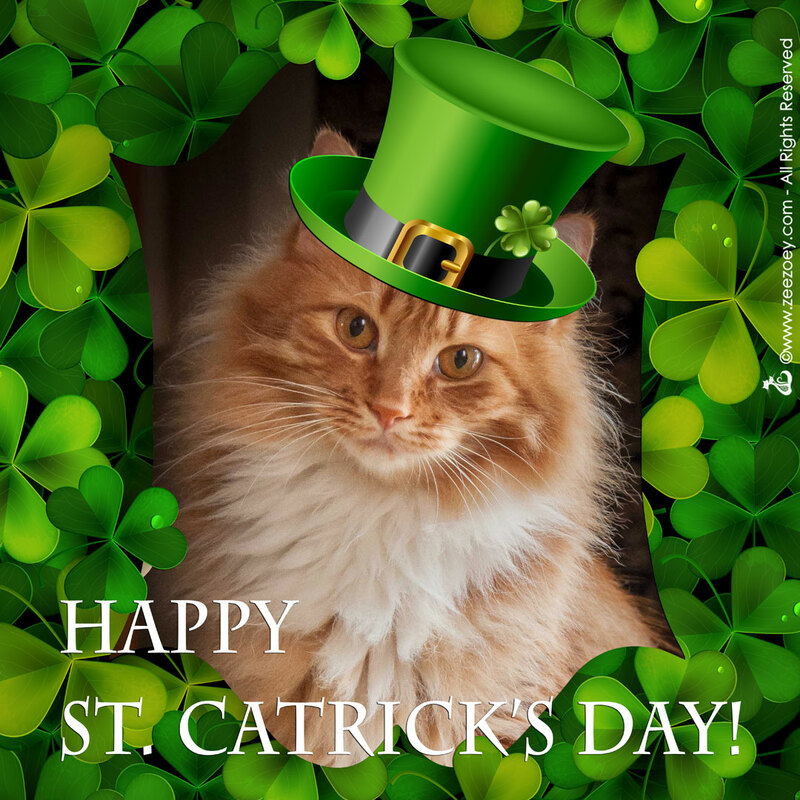 There’s not much more fun than photo editing my beautiful ginger cat, Jazmine, for an Irish pose!